Jerome Hellman (born September 4, 1928 New York City) is an American film producer. He is best known for being the 42nd recipient of the Academy Award for Best Picture for Midnight Cowboy (1969). His 1978 film Coming Home was nominated for the same award. Hellman began his career as a talent agent starting with the Ashley/Steiner Agency and shortly set out on his own to form Jerome Hellman Associates which represented some of the outstanding directors, writers and producers during the “golden age” of live television. Hellman had his first taste of producing when he took over the role of Executive Producer from his client, President and Producer, Worthington C. Miner in the final days of Unit Four Productions which was a partnership of George Roy Hill, Franklin Shaffner and Fielder Cook, producing live one-hour dramas on NBC (1955-7). After leaving NBC, Hill, Shaffner and Cook moved on to directing assignments at Playhouse 90 which was the first 90-minute TV drama series out of CBS’s new studio on the West Coast. 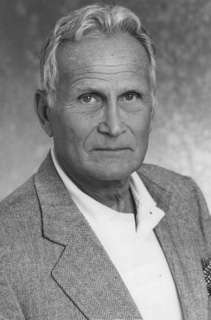 In 1959, Hellman dissolved his talent agency and turned to producing motion pictures exclusively. He partnered with George Roy Hill and produced his first film The World of Henry Orient (1964) with George Roy Hill directing, starring Peter Sellers (in his first film made in America), Angela Lansbury and Tom Bosley. Over the next 25 years he produced six more feature films. A Fine Madness (1966) starring Sean Connery, Joanne Woodward, Jean Seberg; Midnight Cowboy (1969) starring Dustin Hoffman and Jon Voight; The Day of the Locust (1975) starring Donald Sutherland, Karen Black, Burgess Meredith and William Atherton; Coming Home (1978) starring Jane Fonda, Jon Voight and Bruce Dern; Promises in the Dark (1979) also directed by Hellman starring Marsha Mason, Ned Beatty; and The Mosquito Coast (1986) starring Harrison Ford, Helen Mirren and River Phoenix. His collaboration with director John Schlesinger and screenwriter Waldo Salt in the production of Midnight Cowboy garnered seven Academy Award nominations and won Academy Awards for Best Picture, Best Director and Best Screenplay. This creative team would last through The Day of the Locust and the early production stages of Coming Home. Coming Home was directed by Hal Ashby and received eight Academy Award nominations including Best Picture. It won Academy Awards for Jon Voight (Best Actor), Jane Fonda (Best Actress) and Waldo Salt, Robert C. Jones and Nancy Dowd (Best Original Screenplay). Jerome Hellman’s seven feature films garnered seventeen Oscar nominations and won six. In 1995 he was a member of the jury at the 19th Moscow International Film Festival. Academy Award for Best Picture (1970), Midnight Cowboy (1969). Academy Award nomination for Best Picture (1979) Coming Home (1978). 1 2 "The 42nd Academy Awards (1970)". Retrieved October 6, 2014. 1 2 "Promises in the Dark (1979)". Retrieved October 13, 2014. ↑ "The 51st Academy Awards (1979)". Retrieved October 13, 2014. Elizabeth Taylor presenting Jerome Hellman with the Best Picture Oscar for Midnight Cowboy at the 42nd Academy Awards, 1970 on YouTube.